There is no denying that Pakistan is a land of pure beauty, and if you are looking to have some bizarre travel experiences this summer, keep Deosai Plateau at the top on your travel list. 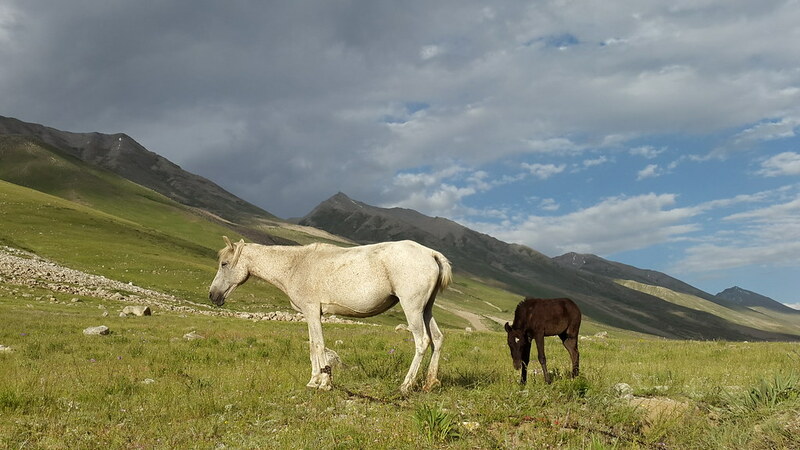 Situated on the frontier of the Karakorum and the Himalaya at 4,000 meters above sea level, Deosai is famous for a number of experiences it has to offer visitors. Deosai Plateau boasts an unmatched degree of silence, peace and serenity. The silence is extremely intense, so much so that you’d hear your own heartbeat. If you visit the valley in the start of September, you’ll see and experience firsthand the peace introduced into the soul of this highland by the frosts, making your trek a remarkable experience. The area is uninhabited; thanks to the power of nature- the variety of wildlife, downpours, icy winds and unpredictable weather conditions have kept people from settling down permanently in this part of the world for centuries now. Deosai was declared a national park in 1993. Today, the Deosai National Park boasts a variety of wildlife, including a mixture of the very rare brown bears, Himalayan Golden eagles, red foxes, marmots, white tigers, ibex, hamster, snow leopards and what not. It is worth mentioning here that the brown bear found in Deosai is the one most sought after by poacher. If you have love for wildlife, the Deosai National Park has them for you to witness firsthand. Make sure to take binoculars along. 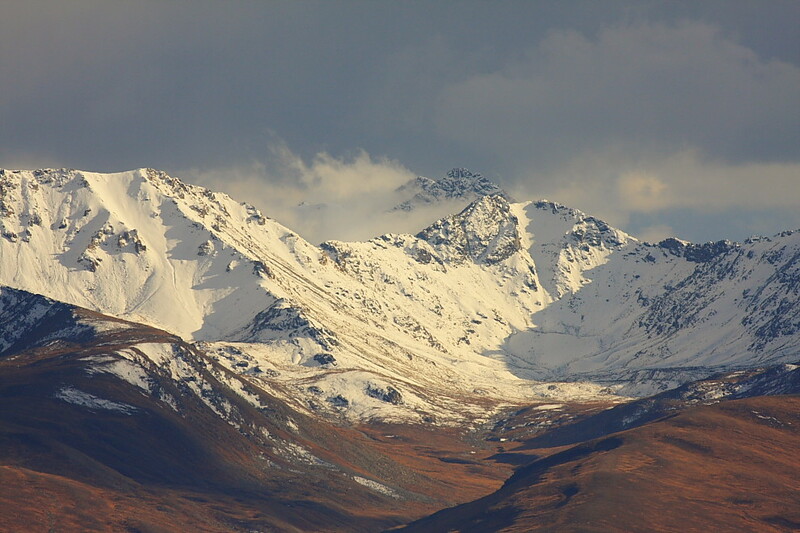 The Deosai Plateau is vast, high grassland spread over 3,000 square kilometers. If you’ve never been to Deosai, chances are you’d be thinking that the area must be home to trees and shrubs. Think again, because Deosai is a very plain area, devoid of trees and shrubs. The lush green meadows are home to diverse flora and fauna. 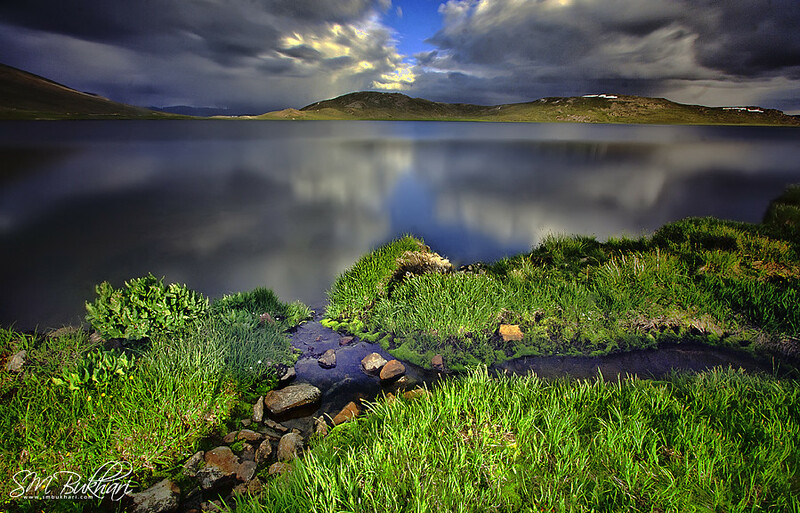 Deosai is home to the beautiful Sheosar Lake, which is one of the high altitude lakes in the world. The deep blue water of the lake will literally mesmerize you. The beautiful, snow-capped peaks in the milieu, and the green meadow with beautiful flowers in the focus offer magnificent views in summer. I bet it, you’ll not only take away amazing memories, but also treasure the memories forever. If the weather supports, you’ll also get epic views of Nanga Parbat – the killer mountain. Another bewitching attraction of Deosai Plateau is its gigantic turf of alpine flowers. You’d be astounded to know that this flower land is the biggest in the Karakorum and western Himalaya ranges. You’ll see the boundless carpet of alpine flowers as far as you can. The blooms give the area an ambiance of mix colors, including purple, reddish, yellow, pink, red and blue. 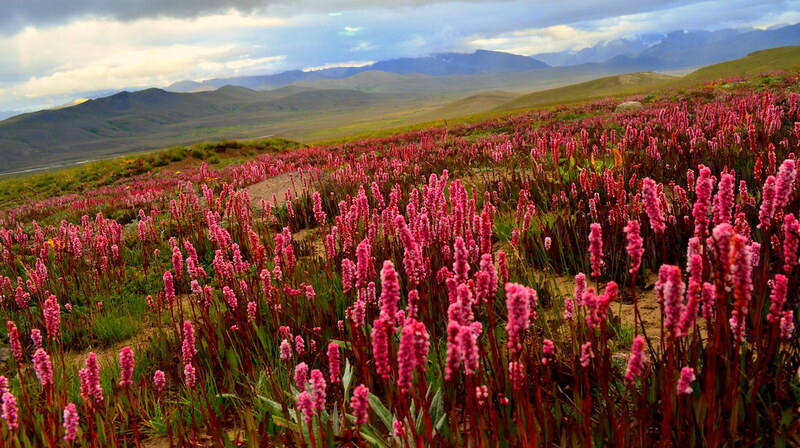 The most popular flowers found in Deosai include adenocaryum anchusoides, Aster, primerose, flannel mulmein and pedicularis bicornuta, cranesbill, eritrichium sp, knotweed, pedicularis, Pseudosedium condensatum, pseudomertensis motikoide and Himalayan stonecrop. If you are an adventure lover, the good news for you is that some epic draws surround Deosai Plateau, including snow-capped mountains, glaciers and fresh, spring water. The wildlife, climate, flowers, grassland and serenity of the plateau combined with the surrounding mountains, glittering glaciers and crystal clear water watercourses make this place a heaven on earth. Local people from the nearby villages are often seen herding their cattle in the grassland, featuring a fully organic lifestyle. The weather at Deosai Plateau is highly fickle. Do not panic when the sunny day suddenly changes to cloudy, followed by rain or thunderstorms, and then the next minute you find yourself in a sunny land again. Instead of freaking, enjoy the moments brought to you by nature on the highland of unique experiences. However, it is advised that you take along a jacket, an overcoat and an umbrella to deal with the abruptly changing weather. For a fishing lover, Deosai is a heaven. 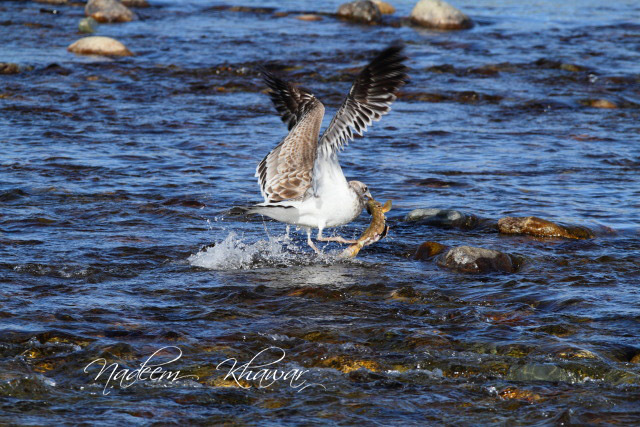 You’ll come across ample opportunities for fishing in the streams on the plateau. The water streams and springs of Deosai are packed with the much-coveted trout fish. This is the reason why bears have made Deosai their home. You can even find a big catch in the springs and streams. And then there is the Sheosar Lake where you can indulge in some fishing experience and satisfy your craving for big trout fishes. Don’t forget to take along a fishing rod. In a nutshell, Deosai is a highland of amazing experiences, ranging from its serene atmosphere, rich wildlife, alpine flowers, water streams, mountains, lake, glaciers and unique, unpredictable weather to the savor of its trout fishes. No doubt, you’d take home some unforgettable and unmatched memories from this grassland that lies on the ridge of the Karakorum and Himalaya mountain ranges in the Gilgit-Baltistan region of Pakistan. It is important, however, to keep in mind that Deosai is accessible only in summer. 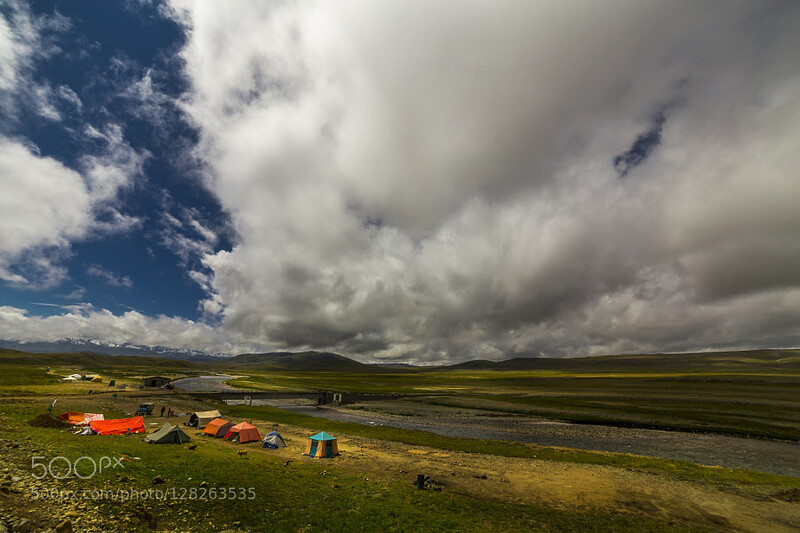 Want to experience the blessings of nature in Deosai this summer? Contact us now for reservation or read more details.